1. 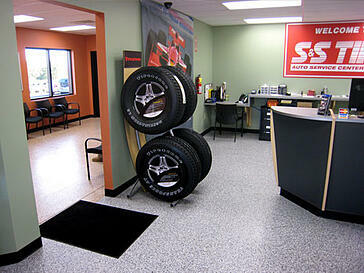 Safety – You don’t want your employees or customers to have a slip resistant surface to walk on. You are ok with a potentially dangerous, slippery floor which could cause accidental injuries resulting in lawsuits or workers compensation claims or possibly a serious injury. 2. Durable – You don’t want a seamless and durable surface. One that doesn’t have scuff marks, cracks, peeling, yellowing and is not slip resistant. An epoxy floor coating creates a seamless, high gloss, beautiful and durable floor. 3. Added Value – A floor is one of the main components in every space and can either “make” or “break” the space. Not only speaking in terms of a design perspective but as a function perspective, a properly coated floor adds value and resale value to any space, especially a commercial one. 4. Attractiveness – You are satisfied with a floor that is not aesthetically pleasing to the eye even though you have employees and or customers seeing in each day and walking on it. The floor is one of the main things that people see when entering a space. The epoxy floor coating can be high gloss/showroom quality that makes your facility highly appealing to the eye, looks clean and available in a variety of colors and textures. 5. Cost effective – The idea of replacing or repairing your floor every few years is in your budget? For most, it certainly is not and would be a waste of hard earned money that could be spent elsewhere. An epoxy floor coating properly protects the floor making it last for many more years than it would without the coating. 6. 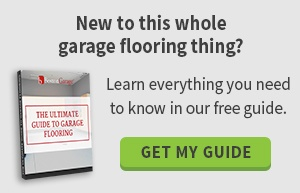 Health Reasons – Unprotected concrete floors can be hazardous to one’s health. Concrete tends to crack and is porous allowing for debris and bacteria to collect, therefore allowing for customers or employees to breath in these unwanted hazards. 7. Enhancement of the work environment – Who doesn’t want a comfortable, clean, safe and aesthetically pleasing work environment. The floor is the main component in any space, especially a commercial space where it gets tons of use and abuse. A non slip, seamless and durable floor is a no brainer! 8. Time- I don’t think any company is comfortable with the idea of paying more money to have a floor maintained and cleaned than they have to. A floor coating such as epoxy requires low maintenance making it easy and quick to clean, lessening cleaning expenses – time is money! 9. Longevity – A well protected, safe and “healthy” floor promotes a longer lasting commercial space and a more pleasant working environment. This holds true for any facility. 10. Environment - An epoxy floor coating has environmental advantages such as low VOC’s and no contamination issues. Being that the floor is durable and has a long life span; demolition, disposal concerns and construction debris are limited in the workplace.